An interesting blog posting on historical bookplates. Arkansas SCBWI Fall Retreat - Illustrators take note! Arkansas SCBWI is hosting it's 1st annual Fall Retreat for Illustrators of Children's Literature and will feature hands-on workshops led by Loraine Joyner, art direct for Peachtree Publishers. September 24-26 in Fort Smith, Arkansas. 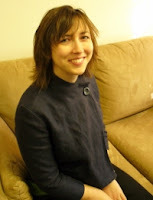 At the same time, the Fall Retreat for writers will feature hands-on workshops by Quinlan Lee, agent at Adams Literary. 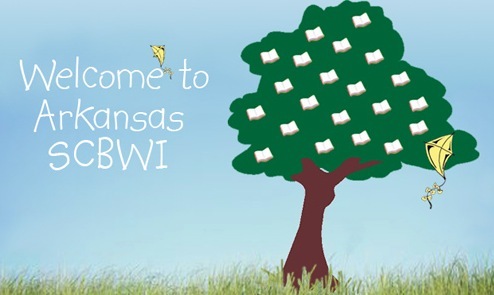 If you are not a member of Arkansas SCBWI, you can be put on a waiting list for when it's opens to nonmembers. The Celebration of Books 2010 Reunion, sponsored by The Oklahoma Center for Poets and Writers, is an awesome opportunity to learn from writers such as Sue Monk Kidd (The Secret Life of Bees ), Michael Cunningham (By Nightfall: A Novel ), William Bernhardt (Capitol Offense), S.E. Hinton (The Outsiders ), Nancy Pickard (The Scent of Rain and Lightning ), Anna Myers (Spy! ), Carolyn Hart (Laughed 'Til He Died: A Death on Demand Mystery ), and MORE! And it's extremely reasonable in price - only $45.00! I won't miss this one! I just finished Chasing Lilacs written by my friend, Carla Stewart. This is a WONDERFUL book! It's a bittersweet story about life, death, and growing up in a small town in Texas. It will bring you to tears, make you laugh and bring back both the good and bad memories of life in the 1950's (for those of you that old!). For you younger folks, it's just a great book. I can see why this one is winning all kinds of awards. I started it yesterday with the intention of reading a little each night before I went to bed, but I just couldn't stop reading. I read it all way through and stayed up very late doing it! But it was worth it. I highly recommend this book. If you enjoy reading books like The Guernsey Literary and Potato Peel Pie Society, you'll love Chasing Lilacs. The Elaine English Literary Agency has just added a new agent - Naomi Hackenberg. Elaine is building a contact list and is looking for young adult fiction projects. She accepts e-mail queries at naomi@elaineenglish.com. This week, I was invited to be part of a critique group with three other children's book authors: Nelda, Linda and Sandy. What a wonderful, talented bunch of girls. I'm delighted to be part of the group. I've been looking for a group because, apparently, I need deadlines. I have deadlines with my nonfiction writing; so, I tend to spend all my time writing nonfiction and never get around to writing fiction. Now, with a critique group, I'll have motivation to write that children's book I keep saying I'm going to write. After all, I'll feel kind of silly if I don't have something written next time I go! Now, I need a fiction novel critique group for motivation to write my mystery! Make your own iPad Book! I really enjoyed our SCBWI meeting tonight. Helen Newton put together a very interesting presentation on what kids are reading at various grade levels. She also gave us a handout with lists of books that are most requested or award winners. I found all this very helpful. Apparently, there is a need for nonfiction for struggling readers. I'd like to find out more about this. My son was a struggling reader when he was young, so I have some experience with this problem. I would love to write some books that appeal to these kids. For the last couple weeks, I've been surrounded by iPad covers! I'm just finishing a 3,000 word article on iPad covers for iPhone Life magazine's Buyers Guide due out in October. This was a fun project, but I'm ready to move on. Just a few more tweaks and I should be able to send it out on Thursday or Friday.